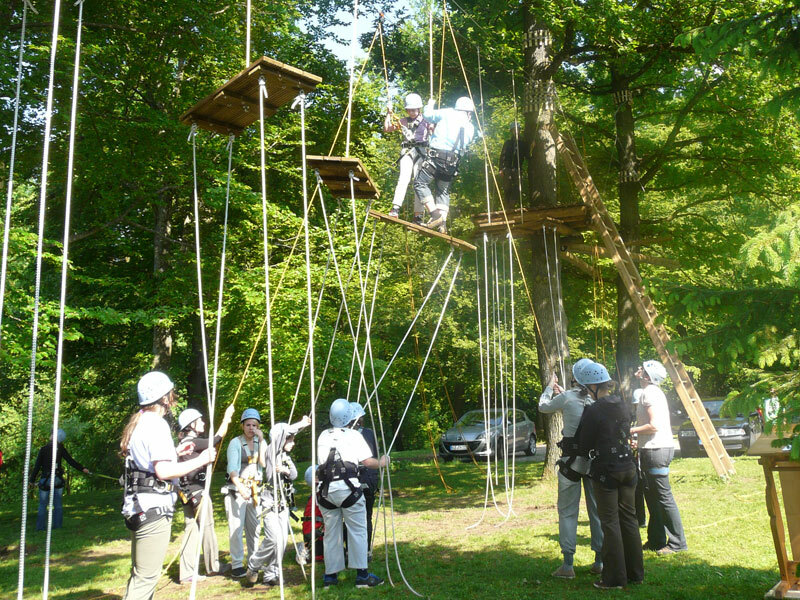 This high ropes course is designed for team-building. 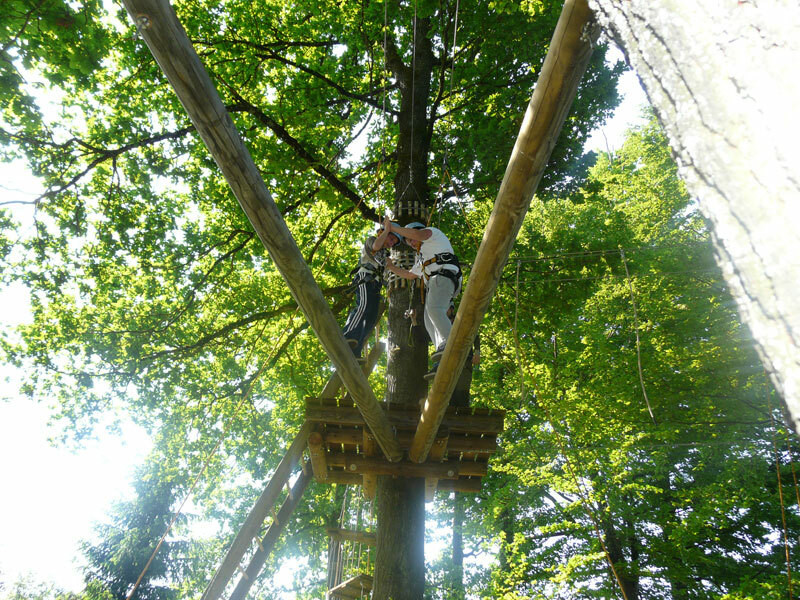 These elements were hung between trees at a height of 5m. 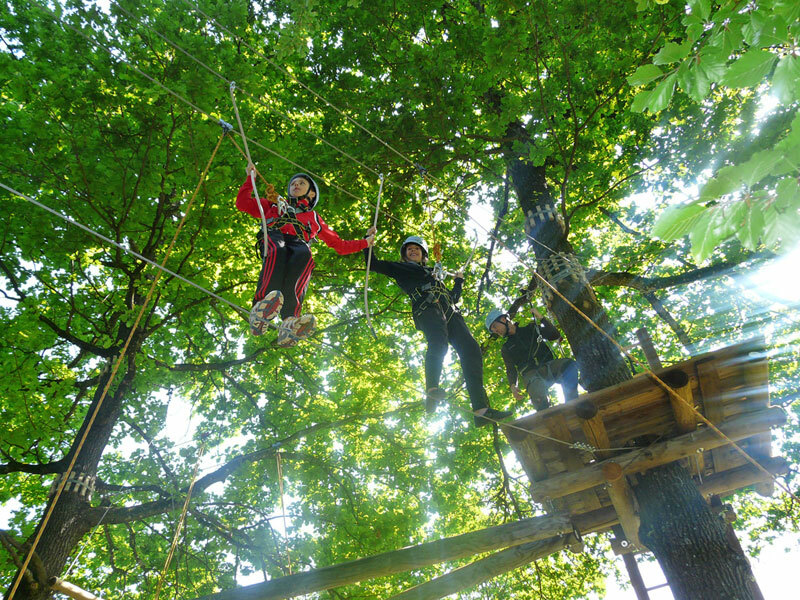 Under skilled supervision by an experienced trainer, a total of five exercises can be utilised for effective and long-lasting team-development for school groups, clubs and firms etc. 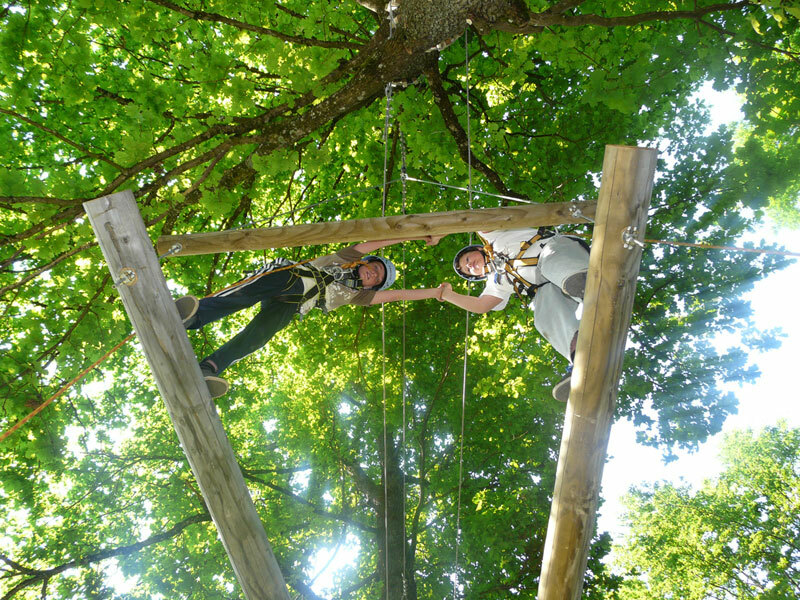 The participants secure each other mutually from the ground using the Toprope method, thereby promoting the team and communication capabilities within the participant group.